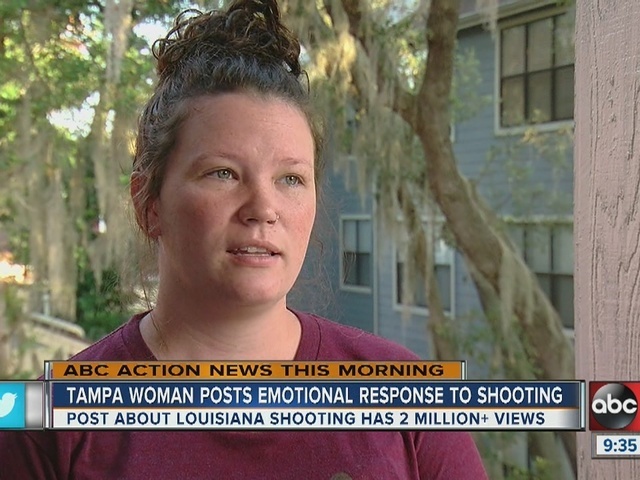 A Tamp, Florida pastor is in the national spotlight as her thoughts on the fatal shooting of Alton Sterling in Baton Rouge, are going viral. 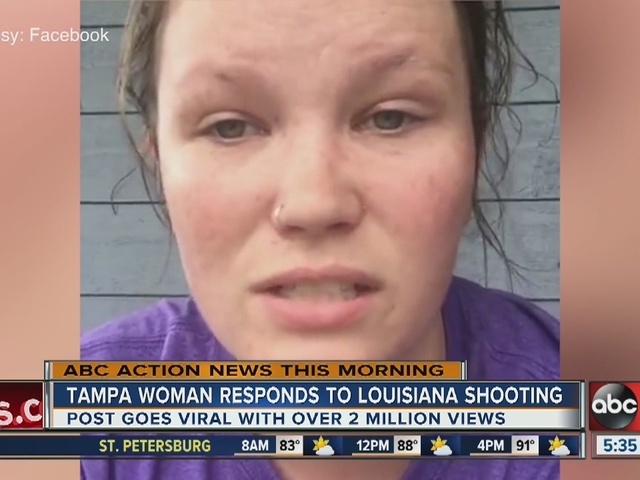 Savanna Hartman live streamed her emotional and passionate reaction on Facebook on Wednesday, July 6. Since that time, the video has been shared over 124,600 times and has been viewed over 2 million times. Hartman is the pastor of a small church in Ybor City, Florida and she says something has to change. In the video she says that people need to realize there's a problem. She also says she does not have any issues with good police officers. According to her Facebook page, Hartman is a wife, mother and pastor at the Banner Church. She says she just had to speak up following this most recent shooting. .